Saban's Power Rangers Megaforce were lucky to be part of the 2013 Easter Egg Roll at the White House yesterday, where the Rangers and Robo Knight teamed up with First Lady Michelle Obama and her Let's Move! initiative to encourage children to lead healthy and active lives. 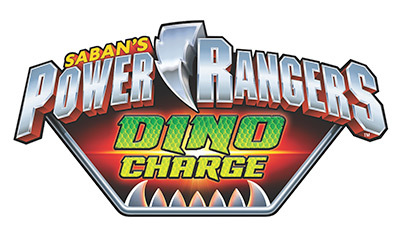 The Rangers are promoting healthy living through Power Rangers emPOWER by teaching kids and families how to put the Power Rangers values of teamwork, confidence, health and physical activity into action. This was the 135th annual White House Easter Egg Roll with more than 30,000 visitors. The event featured live music, sports courts, cooking stations, storytelling and, of course, Easter egg rolling. Souvenir White House Easter eggs first became an annual keepsake in 1981, when President and Mrs. Ronald Reagan hosted a hunt for wooden eggs that bore the signatures of famous people. The tradition continues this year with four colorful eggs and the official First Dog "Bo" egg. NEW YORK, Feb. 5, 2013 -- Saban Brands announced today its new animated series, Digimon Fusion, will air on Nickelodeon in 2013. Digimon Fusion is the sixth installment of the hugely successful Digimon franchise, which Saban Brands re-acquired in 2012. Unleashing countless Digimon combinations, Digimon Fusion takes today's tech-savvy kids inside an adventure-packed digital world, where the heroes' courage is matched only by the fusion of their teamwork, loyalty and humor. "Digimon is the longest-running Japanese anime property and has been enjoyed by kids for more than a decade," said Elie Dekel, President of Saban Brands. "We're thrilled to be bringing the all-new Digimon Fusion TV series to Nickelodeon, where we have the opportunity to introduce the series to a new generation of children while still engaging long-time fans."